Moors Valley is situated not far from Ringwood in Dorset and was the venue for the races the weekend of the 24th & 25 November 2012. I ran this course 2 years ago, scootered the course last year and so this year decided to bikejor the course so I’ve completed it in every way I could. The start is at the top of the main car park down a long, flat, hard-packed track which runs really fast until you get to the left turn about 500 metres from the start chute and make your way deeper into the woods. The trails on this course are mainly fast, flat, forest tracks with occasional turns into the narrower, muddier and more technical sections through the trees. This year was the wettest and muddiest I have ever seen it, making it hard going on the bike in places and even tougher (I imagine) for the scooters. The only place the course was easier than in previous years, was about 2/3rds of the way in, where you right turn to a long, deep sandy downhill section with a sharp left hand turn at the bottom. The persistent rain had packed down the sand, therefore it was much easier to negotiate the slope and Donnie and I ‘zoomed’ down the hill with only a hint of a wobble on both days. The finish is at the bottom of the car park near the visitor centre (which has a ‘Go Ape’ course nearby too) and the trail runs alongside the golf course for the last few hundred metres, giving the opportunity for a slight downhill sprint finish to the end. The Moors Valley course is an ideal one for beginners to have a go at a 5km race or for someone to have their first attempt at bikejor or scootering and is also a good one for getting a personal best time, due to the lack of hills and plenty of wide open tracks for overtaking. We thoroughly enjoyed both days of racing, however I did learn by the second day I needed glasses for the bikejor due to the vast amount of water/mud that covered my face by the end of the first day! Moors Valley is a course we won’t miss out on and for anyone just wanting to come along and watch there are plenty of other things to do, plus a fantastic cafe for post-race refreshments! Most of my training runs are done on my own with the dogs (mainly because I have to get up at 5am to fit them in) so I have often found myself chatting away to the dogs about the things we see on our runs. I have been known to mutter things along the lines of ‘glad you didn’t see that cat guys’ and ‘well that was a close shave wasn’t it?’. I don’t expect an answer back but it has often crossed my mind that my ‘chatter’ might distract the dogs from listening to the actual voice commands I want them to respond to. However, I have always done this. 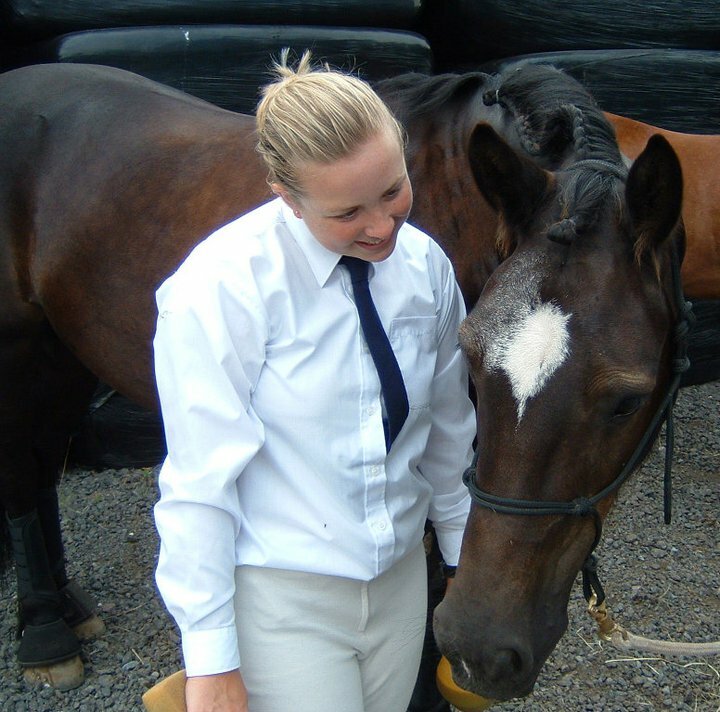 I remember being terrified of my mutterings slipping out when doing dressage competitions, as I was continually talking to my horse whilst I completed the tests and this is not allowed during the competitions. It took more concentration not to open my mouth, than to remember where I was supposed to be guiding my horse! All my animals are used to my constant bleatings! The difference with the voice commands I use for the canicross, bikejor and scootering is the tone and volume of my voice. I always project my voice, raise the volume and put energy into the word or words. For example I use ‘Gee’ for right turn, ‘Haw’ for left turn and ‘Straight on’ to continue. Invaluable in my list of additional instructions are ‘Wait’ , ‘Leave’ and ‘Steady’ (although the last one seems to be up for debate in certain situations!). The dogs rarely pay any attention to anything other than the direct words they associate with either a change in direction or an instruction to slow down or speed up. I have spent quite a lot of time recently, reiterating these commands, even when the dogs obviously know where we’re going because we use the routes regularly to train. I’ve also been changing the routes slightly, just to make sure they are responding to me and not just their inbuilt navigational systems. Lets face it – dogs are on the whole, very intelligent creatures and I think most dogs can tell the difference between conversation in general and instructions directed at them. There are people who advise you not to just ‘chat’ to your dogs whilst undertaking any training, so that your dog doesn’t learn to block out the ‘white noise’ of your voice in the background and I do agree with this to an extent. Personally though, I can’t help talking to my dogs when I’m out on my own and have no-one else to share my little musings with, so I will remain a ‘chatty’ canicrosser, as long as I am confident in the knowledge the dogs can differentiate between the chatter and the commands. Hamsterley Forest is no short drive from K9 Trail Time HQ in Gloucestershire – it sits between Teesdale and Weardale in the heart of beautiful Durham Dales, approximately 10 miles from Bishop Auckland and 255 miles from where we call home. A view of some of Hamsterley Forest from one of the tracks on the course. We decided to make the trip for the weekend of the 10th & 11th November after hearing about how challenging the course was from those who ran it last season. The base for the weekend was a car park surrounded by steep embankments which gave a clue that the course was going to be hilly! After arriving and setting up on the Friday night we were up early so Marc could get out on the bike to see the course in the daylight before racing began. The bikes were out prompt at 10am followed by the runners at 10.30am. As I watched Donnie and Marc set out on their first bikejor race as a team, I wondered what Tegan, Judo and I had in store, as I heard rumours of 3 river crossings and lots of up and down hills. The rumours proved to be true! The course started out along a forest road then up a hill and onto more rural forest tracks – I think I counted 3 or 4 gentle inclines and declines until a big hill at about the 1.5 mile mark which followed the first of the river crossings. The thing with running uphill is that you know if you’re finishing where you started, you have to come downhill and with a 2 dog team, down is often more challenging than up. With another killer hill the other side of the river it was a relief to reach the top and plod along the top catching my breath before the final descent and the last of the river crossings. The river here was waist height in places and the dogs had to swim through to get to the other side (there were bridge crossings as an alternative for those who didn’t want to brave the river). The final straight was back on the forest road to the finish line and it was great to be cheered in. We all had wet feet but had negotiated all the hills and rivers without mishap (except for the parting of Marc, Donnie and bike before the second river crossing). All that was left to do was repeat the process on the Sunday! We all had a better Sunday race with increased speeds and no problems with the technical sections – so we left Hamsterley with a 3rd place for Marc & Donnie in the bikejor and in the 2 dog class, Tegan, Judo and I were 5th. With another weekend of great racing behind us and a course that provided a new experience with the inclusion of the river crossings, Team Thomas are looking forward to the rest of the 2012/2013 season as we’re only a couple of months in. Marc & Donnie coming down the home straight on the Sunday. The final installment of my blogs inspired by the recent European Canicross Federation Championships. The event was held for the first time in the UK, hosted by Cani-X and attended by the largest team from one country in the ECF events’ history – the UK. This blog focuses on the sports as they are experienced in the UK. Bikejor and canicross are relatively new in the UK and originate from the more established world of mushing (dry land sledding using wheeled rigs instead of sleds). 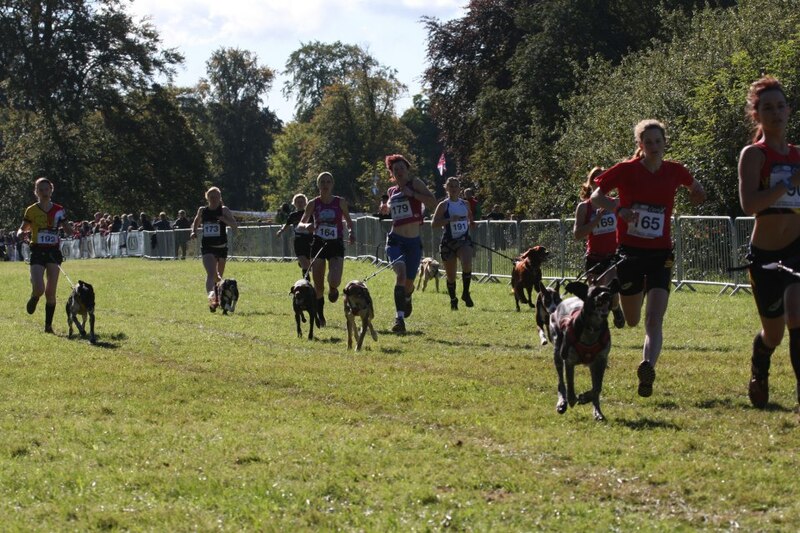 However, they seem to be taking over in terms of popularity because they are far more accessible to your average dog owner, allowing an individual with their beloved pet dog to take part in a sporting activity and compete in races alongside other runners. 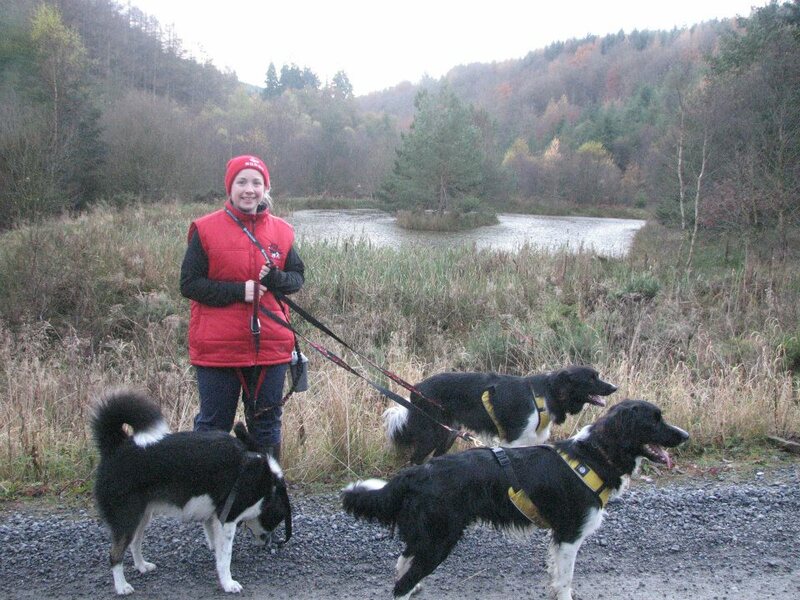 Personally, I wouldn’t have taken up running had it not been for my dogs, as it is the connection I have developed with them, the bonds that are formed through training and the positive effect canicross has on all of us, that motivates me to get out there at 5am in the dark, wet and cold! 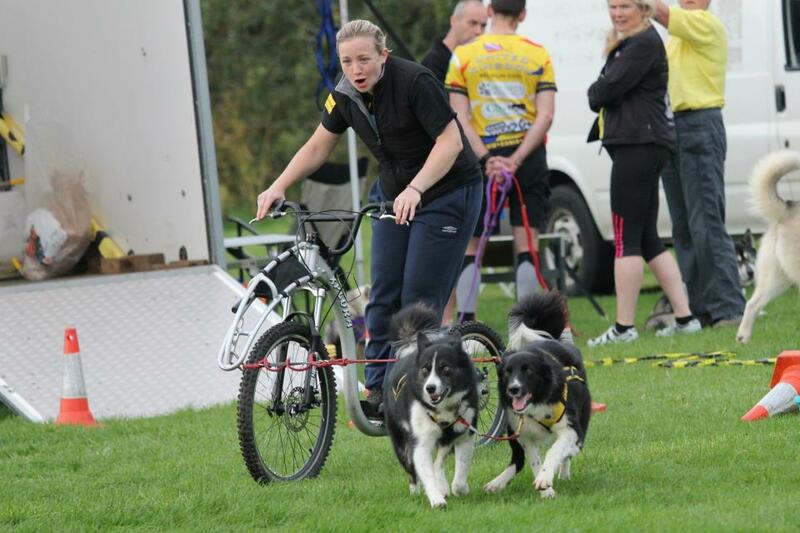 Canicross and bikejor racing has gained in popularity in the UK for the same reasons. 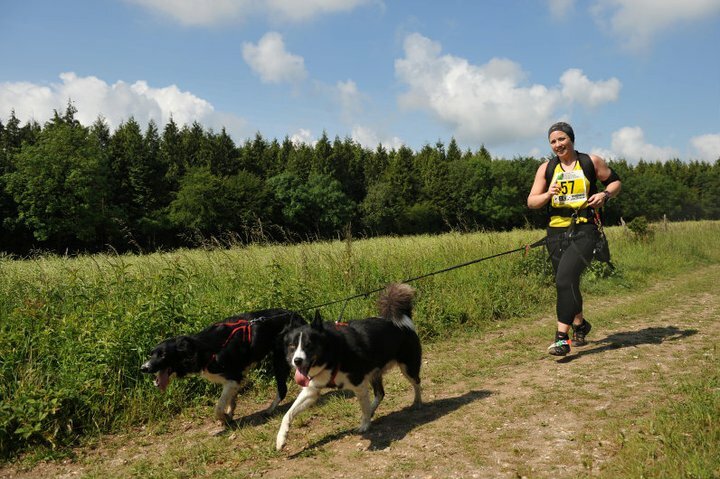 People have seen the opportunity to train and compete with like minded people and their dogs and have experienced the benefits of canicross and bikejor with their pets. You do not need a particular breed of dog to enjoy the sports, you do not need expensive kit and specialist gear (although if you’re taking part regularly you end up with it!) all you need is you, your dog and a simple harness, bungee line and waist belt (or bikejor attachment for biking). 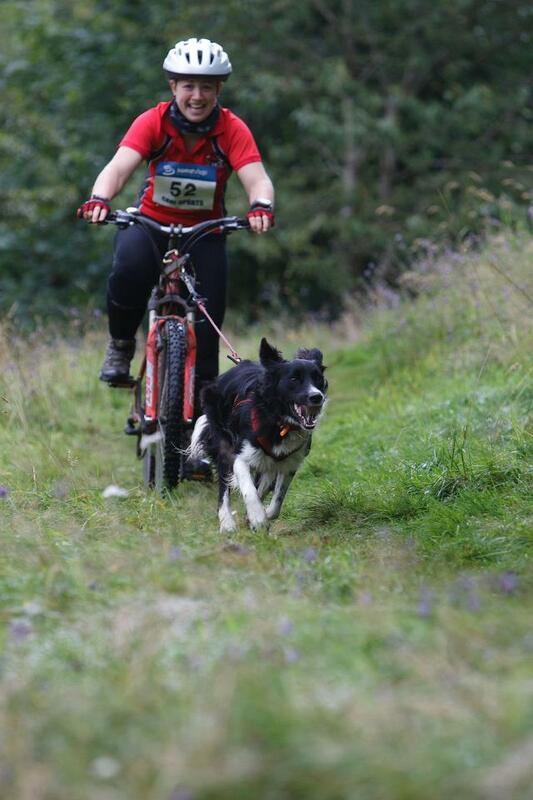 One of the obvious characteristics of the sports as they have developed in the UK, is this idea that canicross and bikejor is something fun to participate in with your pet, not necessarily a serious competitive sport that means abandoning smaller, less athletic dogs breeds for the breeds known to excel in the races. The dogs we compete with sleep on our beds at night, share our homes and our lives, not just our competitions. Our dogs take part in other activities such as agility, flyball and obedience during the summer months when it is too hot to run. I can’t imagine the sports any other way and wouldn’t want to be involved if they weren’t open to everyone and every type of dog. That doesn’t mean to say that we’re not able to hold our own in European competitions, as our recent ECF medal haul proved. We’ve also had many UK individuals competing in various European competitions throughout 2012 with some fantastic achievements and podium places – all with our pets. 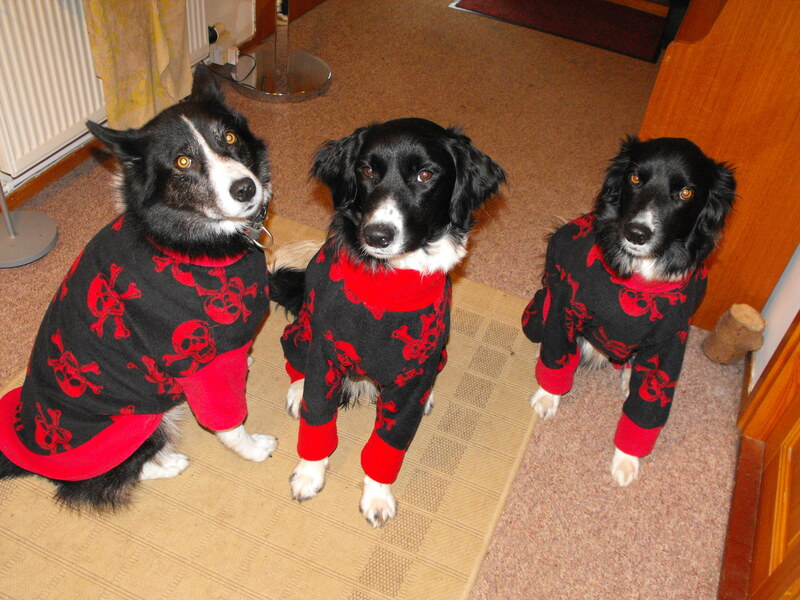 My dogs’ muscles are kept warm after racing with their very own pjs – in team colours of course! 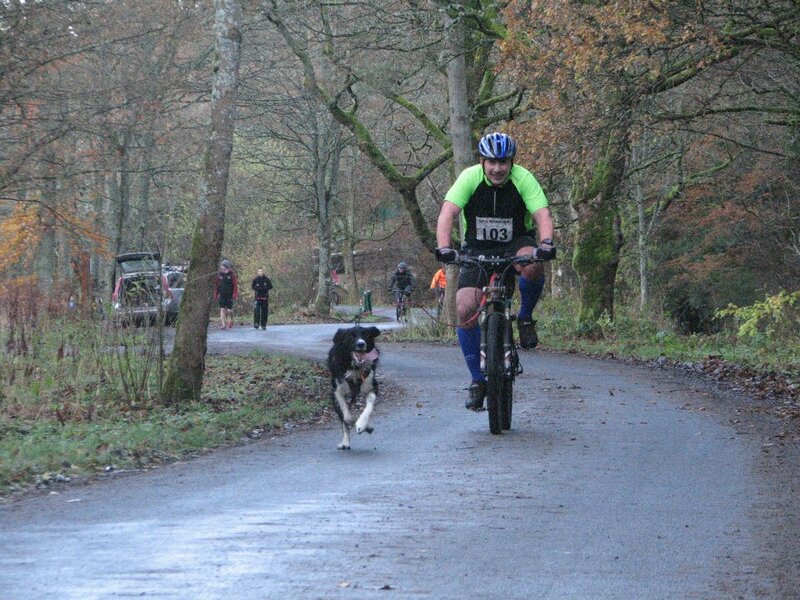 The other thing about canicross and bikejor races in the UK is that they are held throughout the autumn, winter and spring seasons which inevitably means mud! If you’re not prepared to get wet and muddy to train and compete, then these sports will not be for you. We have some fantastic off road trails spread all over the UK, which we can benefit from for our races and my own experience of racing has taken me from the depths of Devon, across to the beaches of Pembrey in Wales and up to the Highlands in Scotland. We’ve not made it across the water to Ireland yet but I have no doubt we will. My dogs love the mud and there is nothing better than challenge of getting round a technical course when it is wet and ankle deep in mud. If all our races were on hard packed ground, requiring no more than steering our way around the trails, my dogs would switch off and I would not be so interested in the sports. 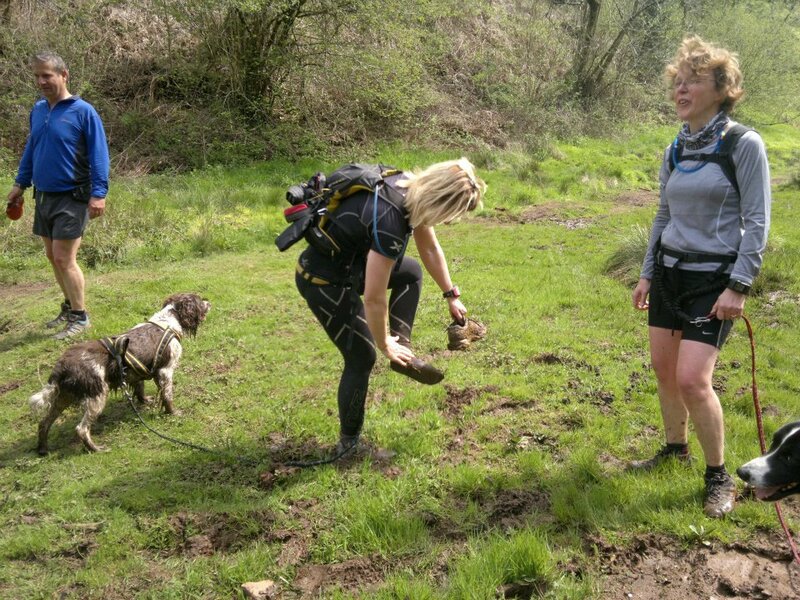 Losing a shoe in the mud is a regular occurrence with some of the trails we run on! It is true to say that with bikejor in particular, the mud can cause a few issues and requires the rider to not only have a grasp of technical mountain biking but also to have very strong voice commands. It is not just a case of being able to pull your dog one way or the other to avoid the worst of the mud, you have to be able to work as a team in order to navigate and this is where true partnerships are rewarded. 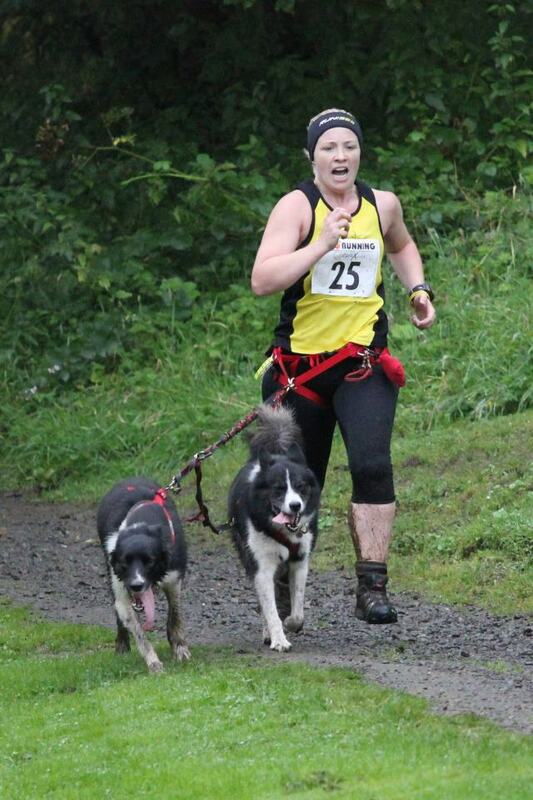 To conclude: If you’re interested in either canicross or bikejor races in the UK be prepared to meet a wide variety of people who are passionate about the sports but more importantly – their dogs. The number of rescue dogs involved is an indicator of how much we care about our canine companions. So many of the dogs competing in UK races might have otherwise had a very different ending to their story without an owner who cared enough to find them an outlet for energy, which these sports provide. Also be prepared for mud, because we have lots of it in this country, due to the rain we also seem to have in abundance. Take the opportunity to enjoy getting mucky with your dog and see it as a chance to get better at running or biking, as you will find everything else easy after some of the races you may take part in! 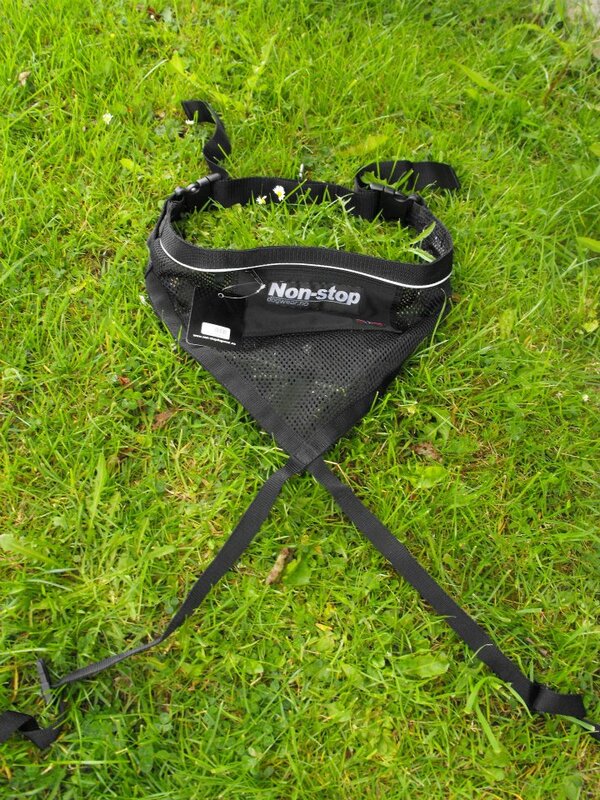 For the third installment of my observations from the ECF Championships, I wanted to write a quick note about the waist belts the runners were using, as I have noticed a European trend for the belts nicknamed ‘nappy’ belts here in the UK. These belts are so named because the material on them covers most of your backside and are quite different to the canicross waist belts most of us are used to seeing. The belts are designed to distribute the force of a dog pulling over a wider area, whilst being breathable and comfortable to wear. The leg straps are mandatory as they are part of the distributing factor and are adjustable but most competitors seem to keep them tight. My biggest concern when I first saw the belt pictured, was the hook sticking out of the front (originally designed for skijor) but this can be turned into less of a straight out line hook by crossing over the legs straps through it, which pulls it down and this is a trick many Europeans use to make their skijor belts multi-purpose. There were a number of runners using these waist belts throughout the competition and it was whilst chatting to a competitor that I discovered the trick and can now see the appeal of them. They are extremely lightweight yet tough and durable, with no foam or fleece to bulk it out or hold water (or even sweat -yuk!). There are also a number to choose from and not all of them have the hook for the line. I have been aware of the belts now for nearly 18 months, as one of our suppliers actually sponsored us with one last year and I like the additional surface area for spreading the pull. Until now I haven’t raced wearing mine but perhaps I should take a leaf out of the European canicrossers’ book and try my next race with a ‘nappy’ belt strapped around my backside!